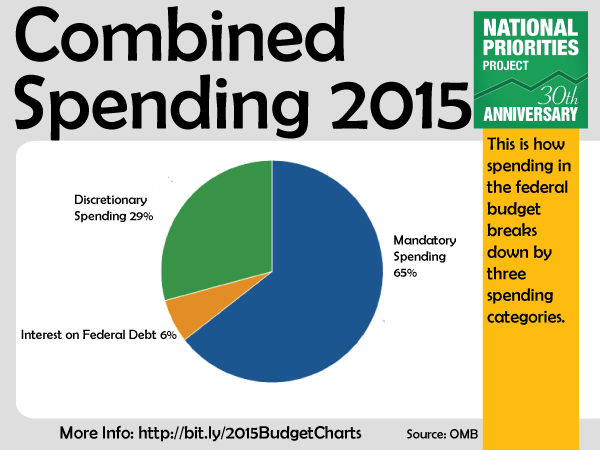 This is how discretionary spending, above, fits into the overall federal budget. 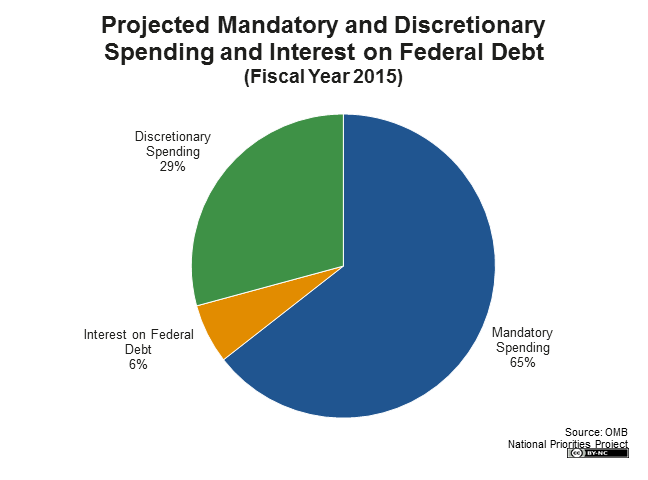 As you can see, discretionary spending is less than a third of all federal spending. Sixty-five percent of spending, or $2.6 trillion, falls under the mandatory spending category. Mandatory spending refers to spending for earned-benefit programs like Medicare and Social Security. The remaining 6 percent of the federal budget, or $252 billion, will go towards interest on the federal debt.